If you are anywhere near Ann Arbor, Michigan next week, make a point to attend the programs featuring local artists called Talk About Art at the Glen Arbor Art Association in Glen Arbor, MI. 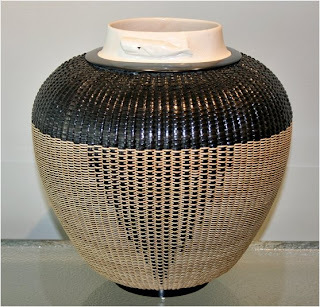 Fred Ely will speak about his unique form of basketry based on the Nantucket Lightship basket. The presentation will take place Thursday (April 23) at 7:30 p.m. Anyone who has ever seen one of Fred's baskets is sure to tell you they are above and beyond the norm.